Do you find yourself wearing certain pieces with the same things every time? This is why I've decided to start 'three way tie'. Every morning I get up and throw together an outfit I challenge myself to wear things differently as much as possible. This can help with that little voice in your head telling you that you have nothing to wear when in fact you do, you just need to rework what you have! Here I've styled a casual summer look. I've kept the top portion airy with a silk tank and gave it a flirty front knot showing a little bit of skin but not too much since the skirt is sitting high on my waist. Keeping this look fun I added a bold necklace tying in colours of my tank and shoes. That's that - an effortless summer style. 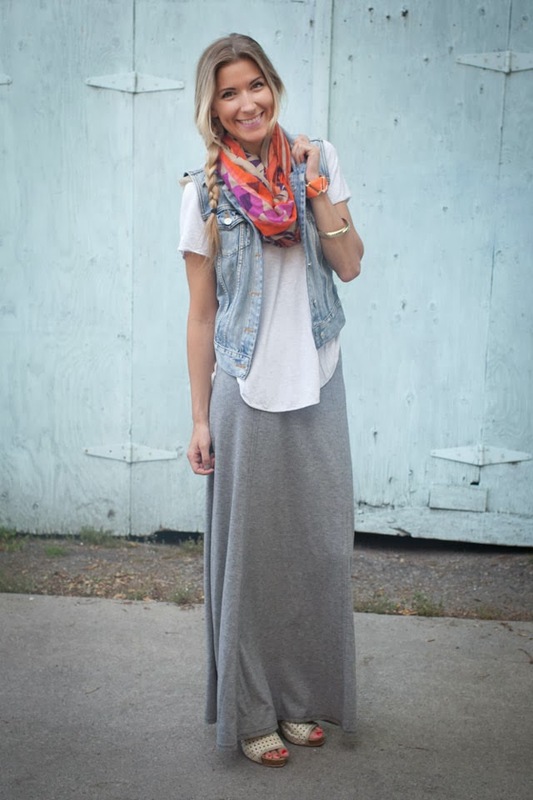 This look I've added layers to show how you can continue wearing your maxi into the fall season. That's right! There is no need to restrict your maxi to just the warmer months. Here I've styled a casual tee that's got some length with even more in the back and threw on a denim vest for an additional layer. To add a punch I used a fun coloured scarf to act as my accessory and switched up my strappy sandals for some open toe booties. 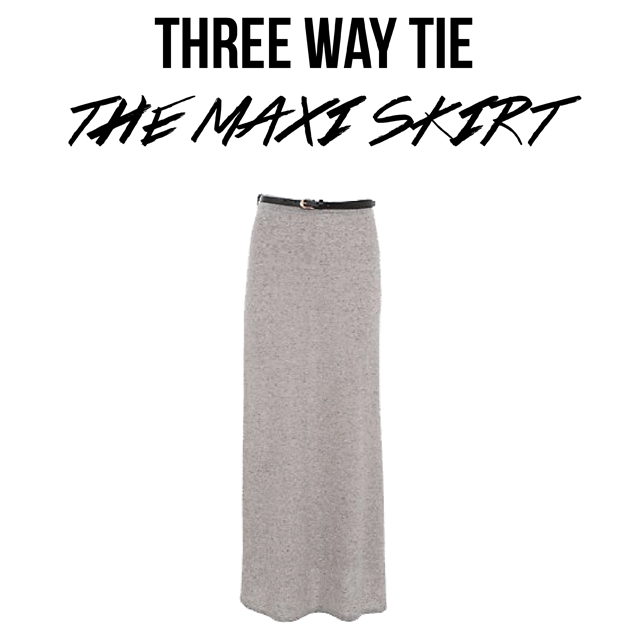 Maxi's aren't just for casual looks, you can dress them up too! Complementing the grey skirt I added a silver metallic lace top that easily made things fancy. With all the detailing in the top I kept the accessories minimal and stuck with the theme by wearing my metallic platforms. You're now all dressed up so find somewhere to go! i love those shoes! U look stunning and beautiful! xO!